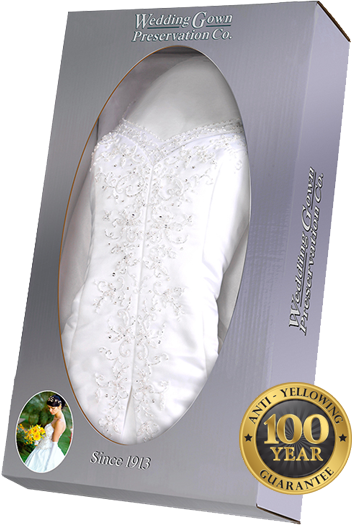 The Most Trusted Couture Wedding Gown Preservation Service in the Nation. 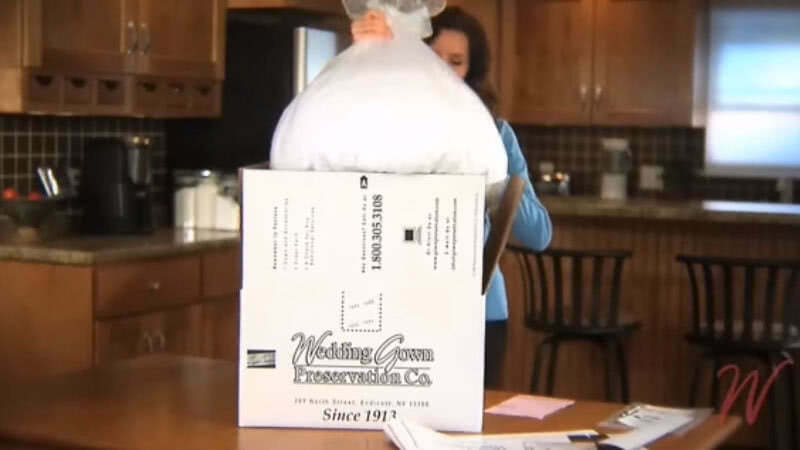 The Most Trusted Couture Wedding Gown Preservation Service in the Nation Since 1913. Your kit will contain everything you need to securely pack your gown in our crushproof shipping container and waterproof garment bag. You will also receive your included pre-paid shipping labels along with $2,000 shipping insurance. You will receive an e-mail notification when your gown arrives and is checked into our system. 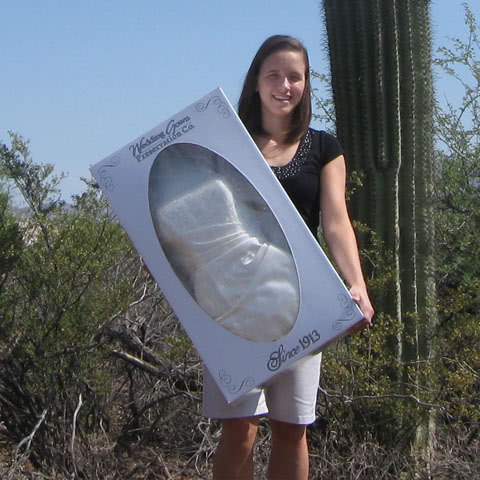 I love my customized silver wedding box with the window through which I can admire my dress for many, many years to come! 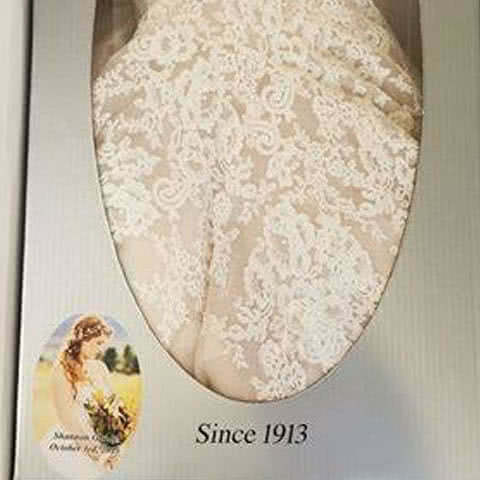 Thank you Wedding Gown Preservation. I am absolutely in love with how my dress and veil turned out. They are absolutely beautiful, just the way I remember my wedding day. 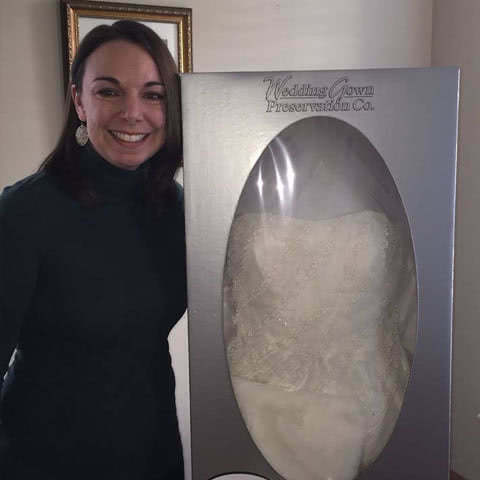 I just got my wedding dress back from preservation. I just love it! So beautifully done. Feels so good to know it's safe. When you receive your kit you'll find paperwork inside that will allow you to add any extra amount of insurance in the included paperwork which will be in addition to the included insurance that comes with your order ($2,000 for the Celebrity Kit and $2,000 for the Celebrity Kit). Extra insurance is $2.00 for each $100 of extra insurance you'd like to add.